Working to promote single payer health care in Kentucky. 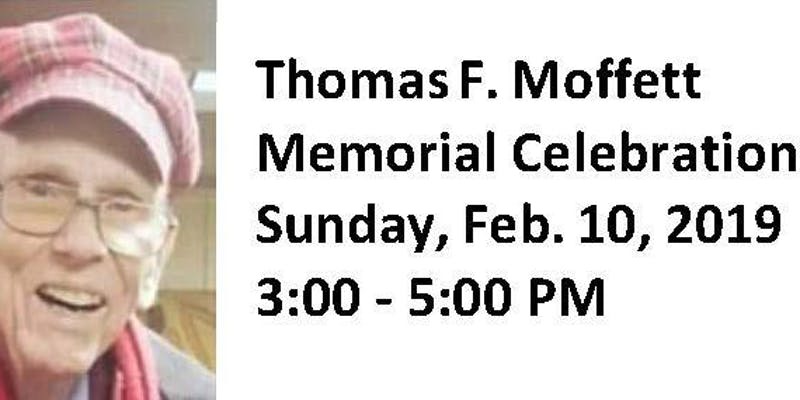 LOUISVILLE, KENTUCKY – A Memorial Celebration of the Life of Thomas F. Moffett will be held on Sunday, February 10, 2019 from 3:00 – 5:00 pm at First Unitarian Church, 809 South 4th Street, Louisville, KY. Tom was also known as “The Man in the Red Sweater” and was revered as a tireless Social Justice Activist and advocate for the rights of the underserved and disenfranchised https://www.louisville.com/content/man-in-the-red-sweater . Video presentations by Louisville Mayor Greg Fischer, Former Mayor Jerry Abramson, Activist Mattie Jones and other community leaders will be shown at the program. Sponsoring groups will have information tables and a reception and networking opportunity will follow. Music will be provided by Committed Choir. Tom’s lifetime of tireless work for racial and social justice serves as a model for all of us. His impact was widely felt on causes ranging from anti-racism and police misconduct to health care and equity in the public schools. Co-sponsors including Kentuckians for Single Payer Health Care, Grace Hope Presbyterian Church, Park DuValle Community Health Center, Louisville Showing Up for Racial Justice (LSURJ), Louisville Chapter of the Fellowship of Reconciliation (FOR), Kentucky Alliance Against Racist and Political Repression, Fairness Campaign, and Human-Kind Productions are working diligently to plan a fitting memorial for Tom and looks forward to your involvement and support. The Co-sponsors plan to develop a Thomas F. Moffett Social Justice Fund to support continued advocacy and activism by individuals and groups. 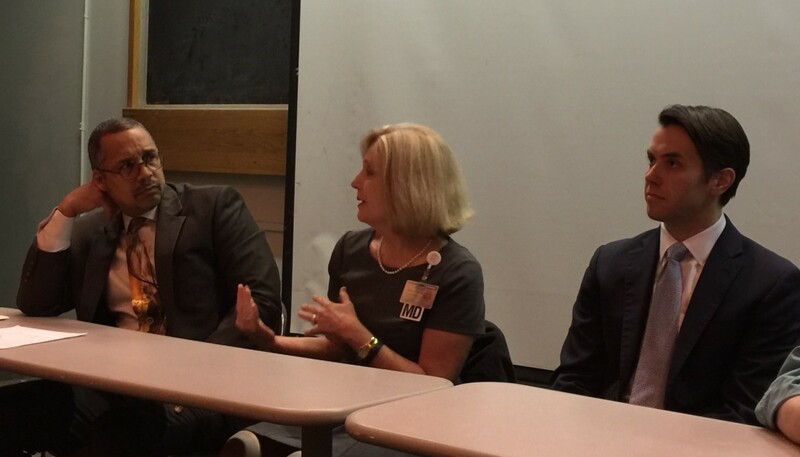 On Monday, January 28, 2019, medical students Sarah Parker, Eric Seroogy, and Karen Reynolds, leaders of the University of Louisville Students for a National Health Program (SNaHP), hosted a noontime panel discussion at the medical school. Panelists L to R: Wayne Tuckson, MD, President, Greater Louisville Medical Society and Colorectal Surgeon; Barbara Casper, MD, Internist and Professor of Medicine; State Senator Morgan McGarvey, KY 19th; Charles Kodner, MD, Family Medicine; Karen Berg, MD, Diagnostic Radiology and recent candidate for the state senate in the 26th district. “This woman literally gave up her life because she didn’t want her husband to lose their only possession,” said Dr. Berg, adding that she favored an expanded Medicare for all or single payer system. She noted that currently the annual cost per physician is $100,000 just for dealing with the insurance companies. the physician must justify the treatment. “Quite a few times it’s maddening,” he said as he told of the challenges that confront doctors. 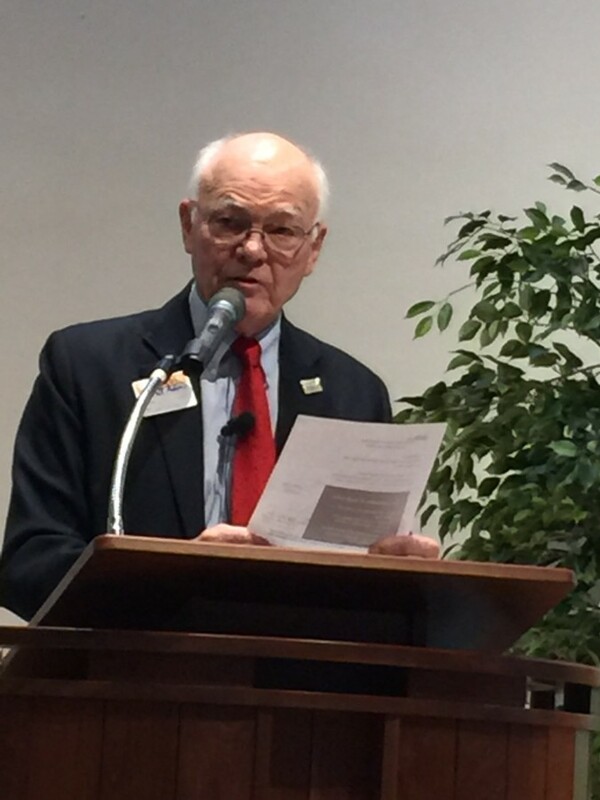 Dr. Casper spoke of the barriers that those without insurance or with inadequate insurance face. She told of a diabetic patient who worked in construction. When he could not pay for his insulin, his toe became infected and he lost the toe. With his big toe missing he did not have proper balance, so he lost his job and his insurance. When he lost the insurance, things got worse and his foot was amputated. He ended up unable to work at all and in a nursing home because he could not pay for the necessary drugs. “This is a moral issue but also does not make economic sense,” she said. Morgan McGarvey said that the Medicaid budget is set for the state of Kentucky and that there is not enough money in state government, but that he did not believe that we would ever get rid of private insurance. 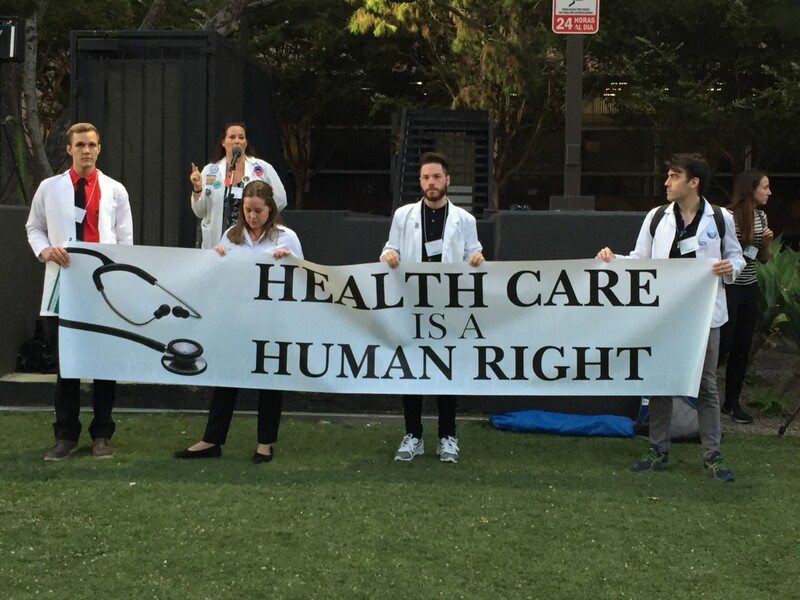 Dr. Kodner expressed the opinion that single payer will never happen here–the American mind set is wildly against it, he said. she did not have to spend so much time with insurance company requirements that she would have an increased ability to work with patients. “There is real movement towards a single payer system,” she said. 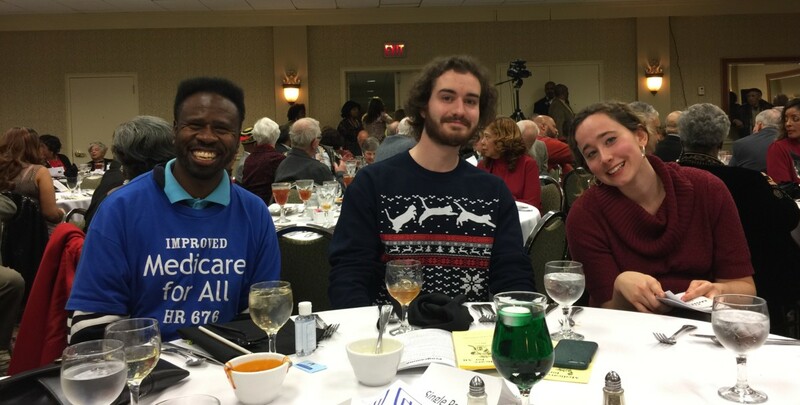 The Kentucky Alliance Against Racist and Political Repression recently held their annual dinner at the Louisville Hotel. Kentuckians for Single Payer Health Care was there with an information table during the social hour, a full page ad in the journal, a brief opportunity to speak, and a single payer table. Several hundred gathered to celebrate the achievements of Louisville’s civil rights and social justice movements. 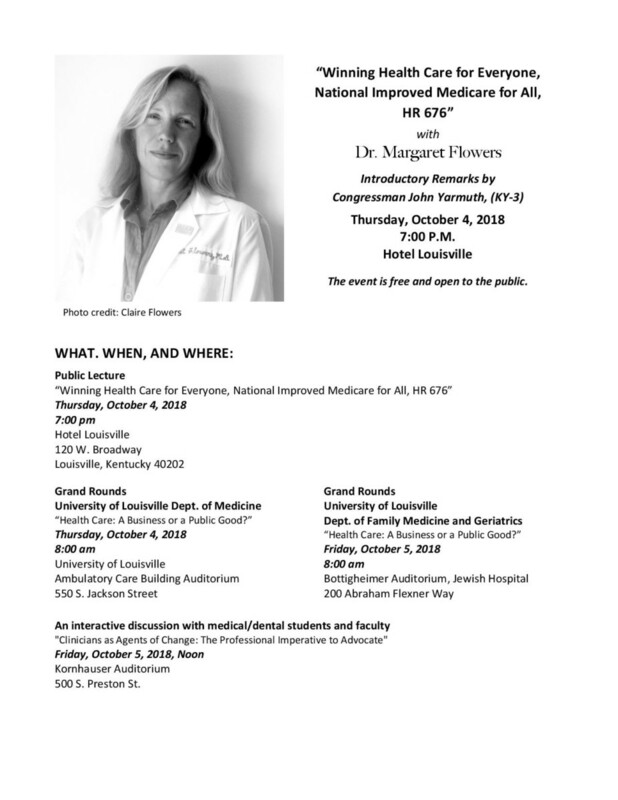 The 40 minute video of Dr. Margaret Flowers at the October 4, 2018, public event in Louisville is now available for viewing and sharing here. KSPH thanks videographer Stephen Mattingly for making it and medical student and SNaHP President Sarah Parker for placing the video on youtube. The video can also be seen and shared from the KSPH facebook page. University of Louisville Students for a National Health Program President, Sarah Parker, is at right. On November 9 and 10, 2018, Physicians for a National Health Program held their Leadership Training and Annual Meeting in San Diego. Kentuckians for Single Payer Health Care joined with PNHP North Carolina in presenting the workshop on Chapter Building. 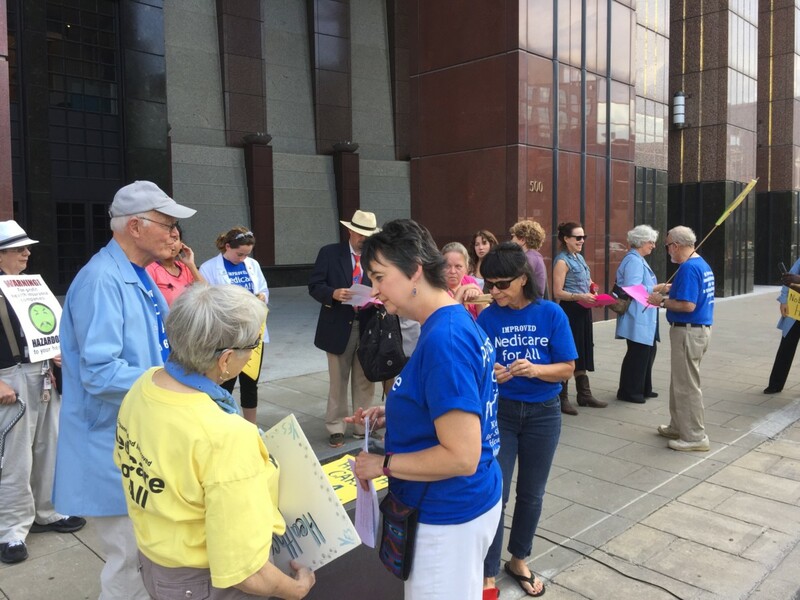 On Friday evening everyone marched to the ICE Headquarters to join with community groups to express the demand for justice and health care for immigrants. On Saturday evening, the keynote address was given by Linda Rae Murray, MD, past president of the American Public Health Association. A full report will be available on the PNHP website. 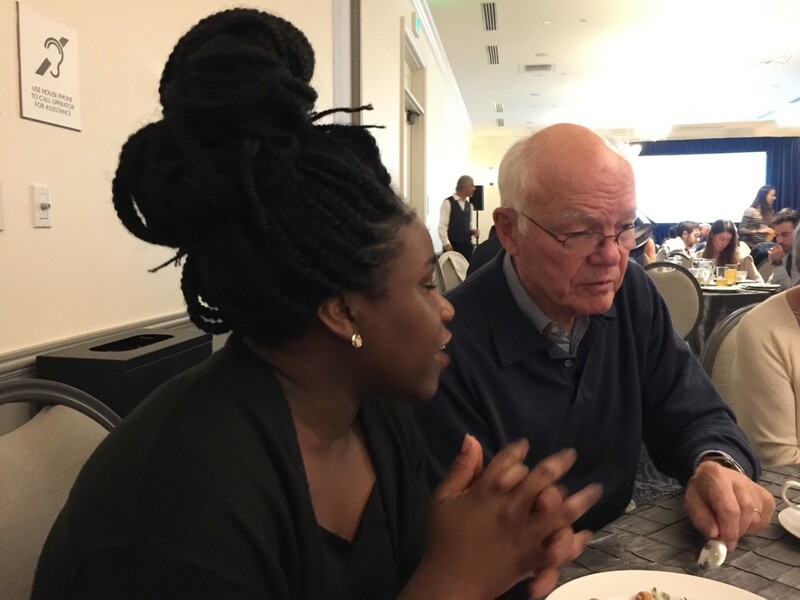 Memphis, Tennessee, first year medical student Louisa Ekem with Dr. Garrett Adams of Louisville at the Saturday dinner. 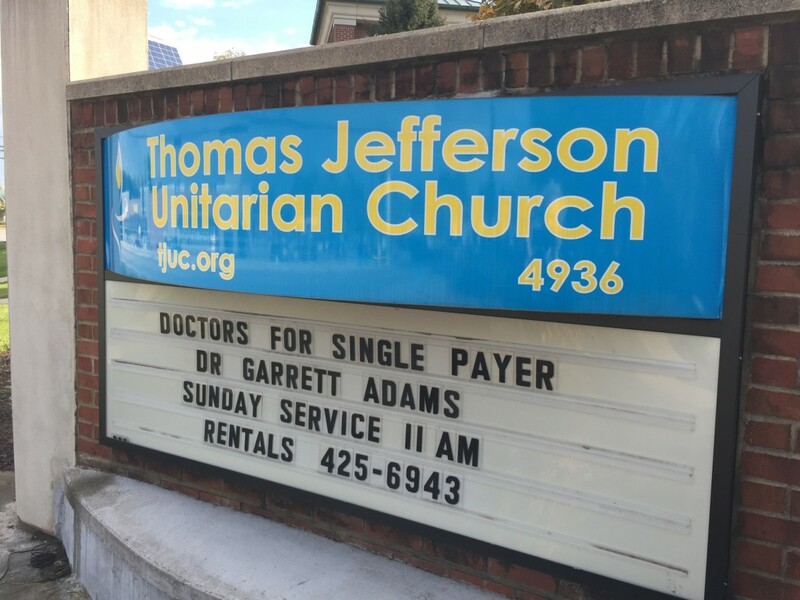 On Sunday, Oct. 28, 2018, Garrett Adams, MD, founder of Physicians for a National Health Program–KY, delivered the message at the Thomas Jefferson Unitarian Church in Louisville. The church featured the event in advance, and the attendance was larger than usual. Garrett smiling along with the pumpkin. The children paraded with their Halloween outfits, and a pianist, violinist, and choir added music to the celebration. A number of people spoke in solidarity with the Pittsburgh Tree of Life Synagogue that had so recently suffered a massive, hate-filled shooting. The sign outside the church. Garrett delivered a hopeful message centered on the statistics showing majority physician and popular support for a health care plan that will cover everyone, be federally financed, be free of premiums, co-pays, and deductibles, and include all medically necessary care–an improved Medicare for All. 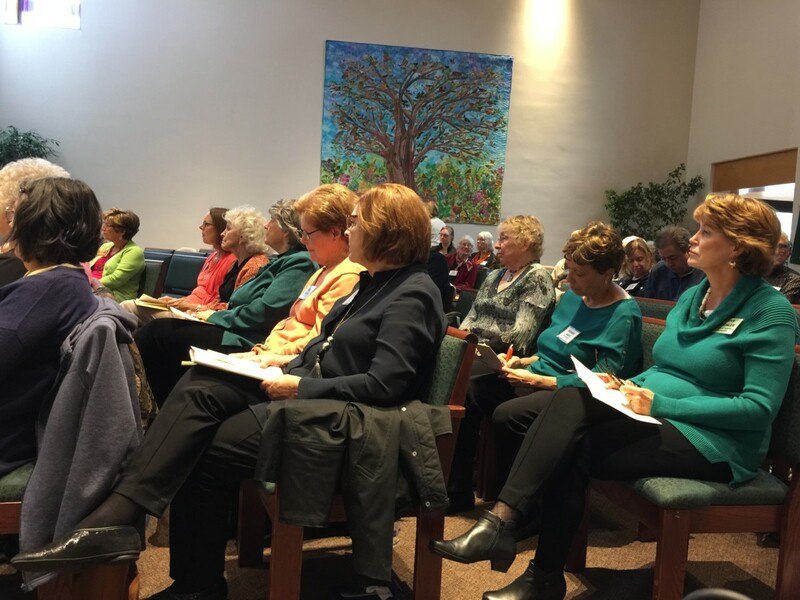 A member of the Unitarian congregation speaks in costume of having heart: The giraffe is a heart symbol because it takes a powerful heart to circulate the blood up that long neck. He told of the tragedy of the 30,000 who die each year needlessly because of a lack of insurance. He included the story of Clay Morgan, a Henry County farmer and auto mechanic who took his own life rather than impoverish his family with the costs of a recurring cancer. “Statistics are people with the tears wiped dry,” he said. Unitarians listening to the single payer sermon. He ended on a positive note that people can be more powerful than the corporations that seek to hold back progress in order to make profits in health care. He encouraged activism to make it happen. “Power concedes nothing without a demand–without struggle there is no progress,” said Dr. Adams, concluding with the wisdom of Frederick Douglass. 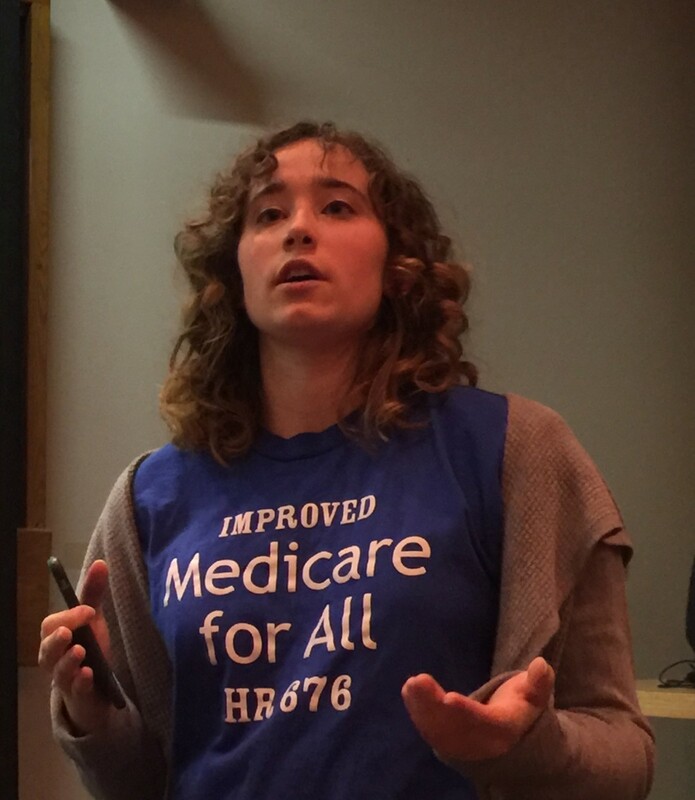 On October 16, 2018, Christine Perlin and Charlie Casper of Kentuckians for Single Payer Health Care showed the documentary “Fix It” to an audience at the Port Shaw Community Center. 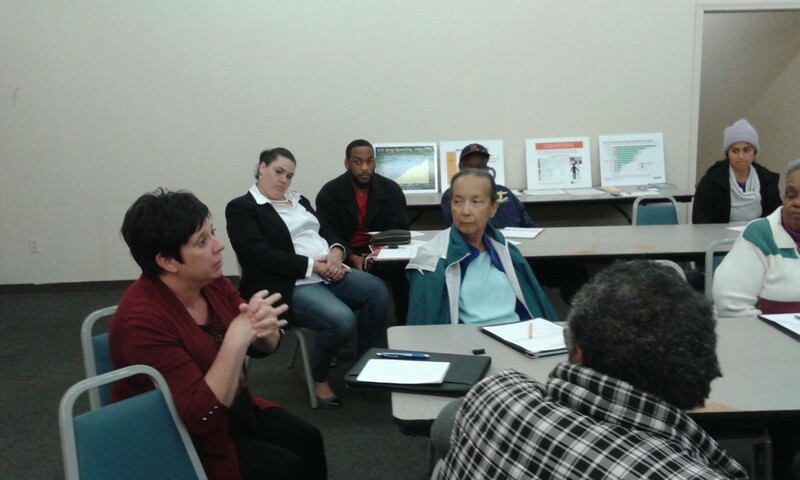 Karen Krigger, MD, at the Port Shaw Community Center in the Portland/Shawnee neighborhood in West Louisville. 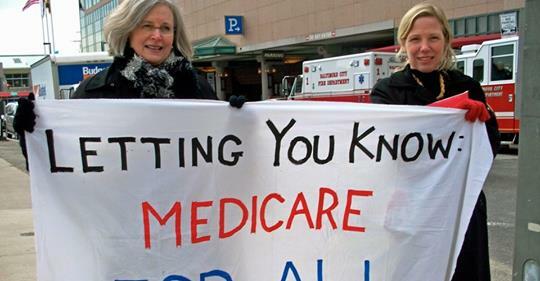 Karen Krigger, MD, a practicing physician and Clinical Professor of Family and Geriatric Medicine at the University of Louisville, introduced the film and explained how single payer health care works. Bonnie Coleman, President of the Shawnee Neighborhood Association, and Dr. Krigger organized the event. The 38 minute movie can be seen on the internet at this link. KSPH offers to show the film to any group or organization anywhere in the state of Kentucky and to send knowledgeable people to lead the discussion and to answer questions. Just give us a call at (502) 636-1551. Photos are by Christine Perlin. 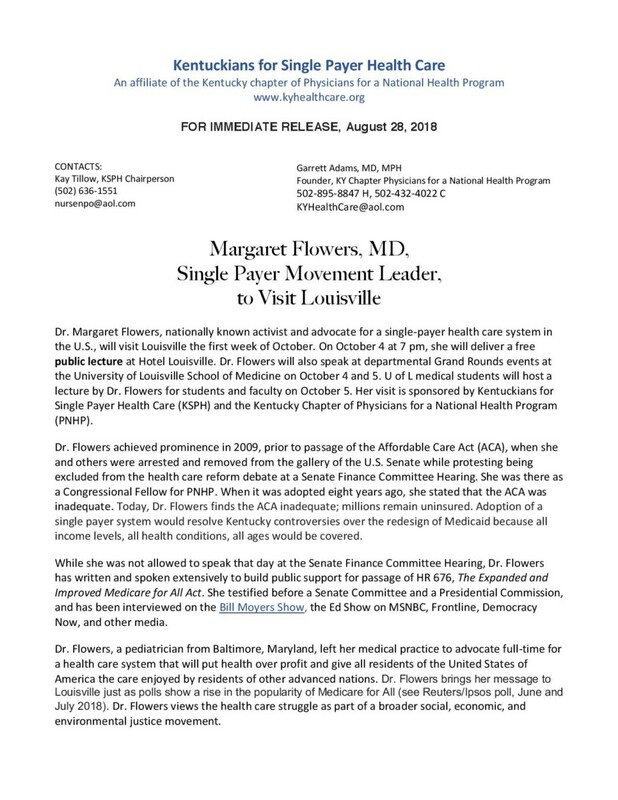 On October 4 and 5, 2018, nationally-known single payer activist, Margaret Flowers, MD, spoke at a whirlwind of events in Kentucky, educating physicians and medical students and inspiring activists. Dr. 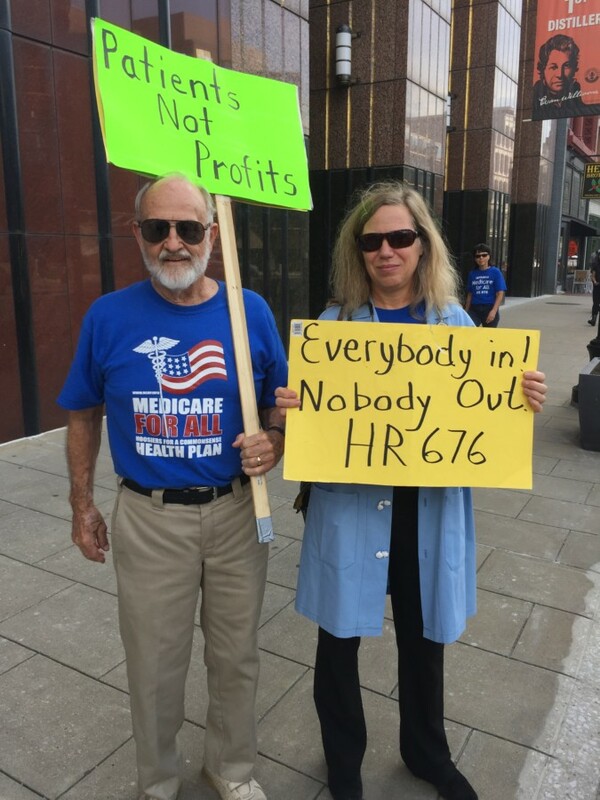 Flowers, a Baltimore pediatrician, now works full time advocating for a National Improved Medicare for All system as set forth in HR 676, the bill in the House of Representatives that currently has 123 cosponsors. 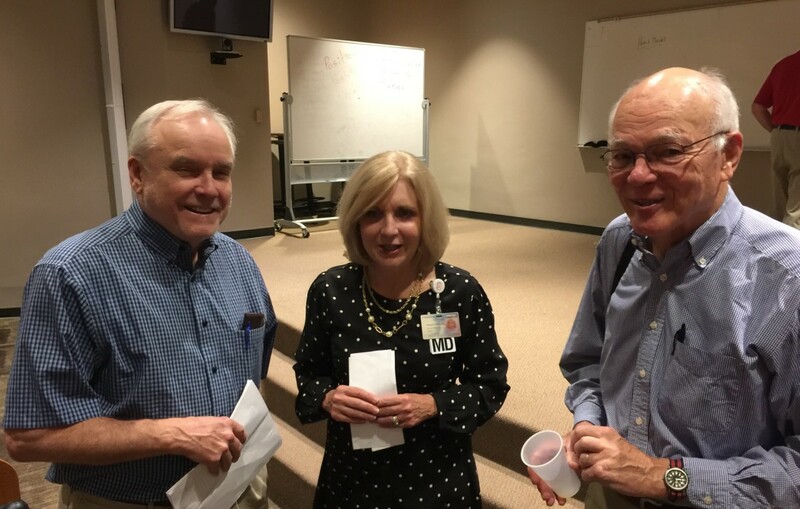 Charlie Casper, Dr. Barbara Casper, and Dr. Garrett Adams at the Grand Rounds. 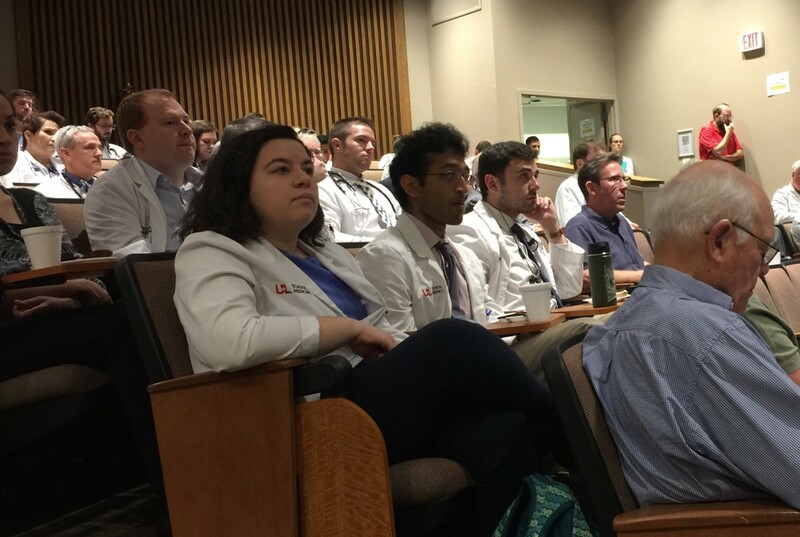 Part of the audience at the University of Louisville Department of Medicine Grand Rounds. On Thursday evening Dr. Flowers addressed a packed ballroom at the Hotel Louisville. 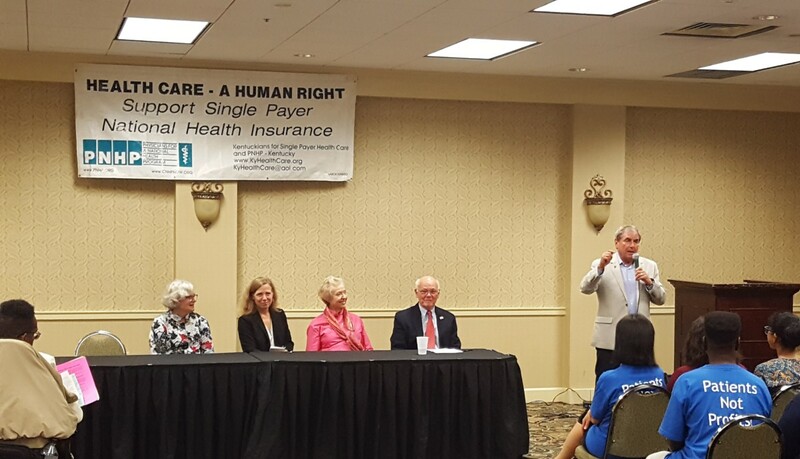 Kentuckians for Single Payer Health Care and Physicians for a National Health Program- KY sponsored the event. Co-Sponsors are: Central KY Council for Peace and Justice, Louisville Democratic Socialists of America, Greater Louisville Central Labor Council, Jefferson County Teachers Association, Kentucky AFL-CIO, Kentucky Alliance Against Racist and Political Repression, Metro Disability Coalition, Sisters of Charity of Nazareth, U of L Commonwealth Center for the Humanities and Society, U of L Students for a National Health Program (SNaHP), St. William Church. Doris Bailey Spencer and Sarah Parker worked to broadcast that event live on facebook and you can see it here. Congressman John Yarmuth, a cosponsor of HR 676, speaking at the October 4 public event. 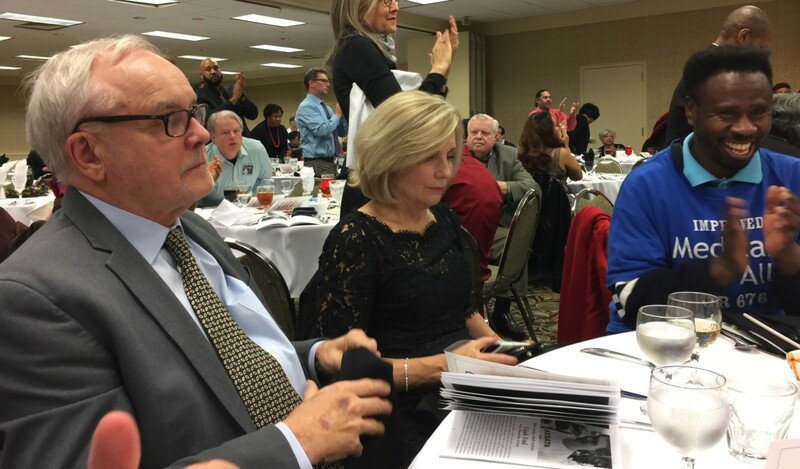 Seated (l to r) are Dr. Carol Paris, President of Physicians for a National Health Program, Dr. Margaret Flowers, Kay Tillow, Chair, Kentuckians for Single Payer Health Care, and Dr. Garrett Adams, Founder of Physicians for a National Health Program-Kentucky. 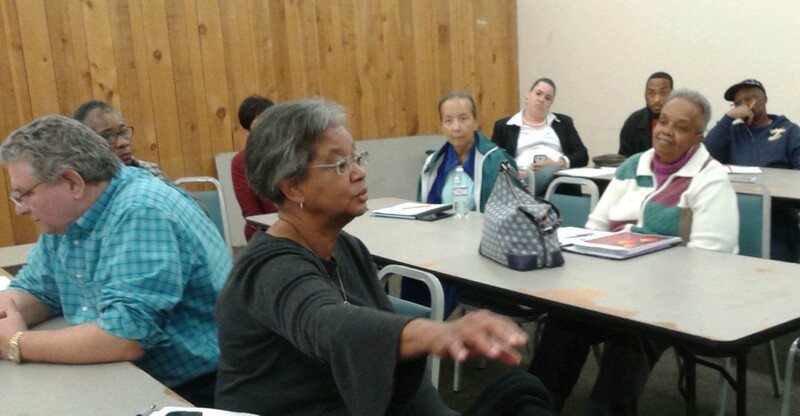 Not pictured is Ann Hagan-Grigsby, CEO of Park DuValle Community Health Center who also spoke. On Friday morning Dr. Flowers presented Grand Rounds in the auditorium of Jewish Hospital for the University of Louisville Department of Family Medicine and Geriatrics. 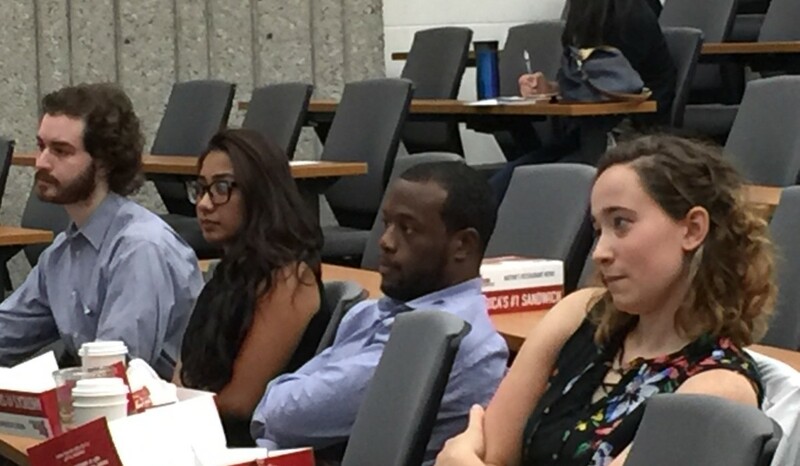 Medical students listening to Dr. Margaret Flowers. At the right is Sarah Parker, one of the leaders of SNaHP. U of L Medical students who came out to hear Dr. Flowers. 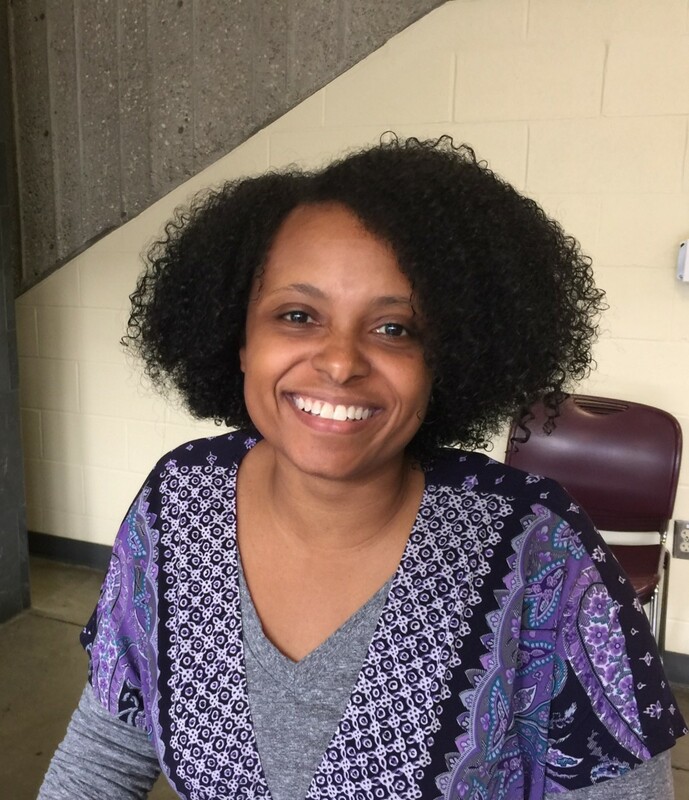 Brandi Jones, MD, the first president of U of L SNaHP who came back to attend this student event. 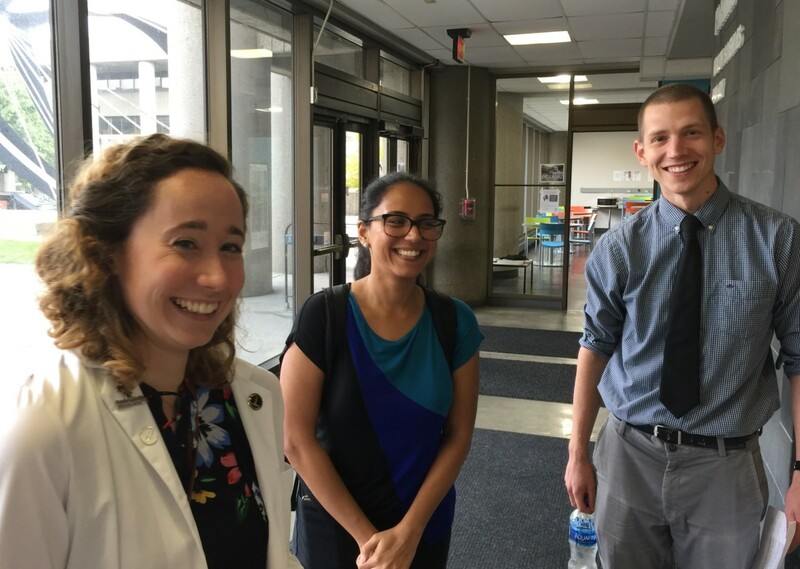 Medical student leaders of U of L SNaHP (l to r) Sarah Parker, Mallika Sabharwal, Michael Gasser. Drs. 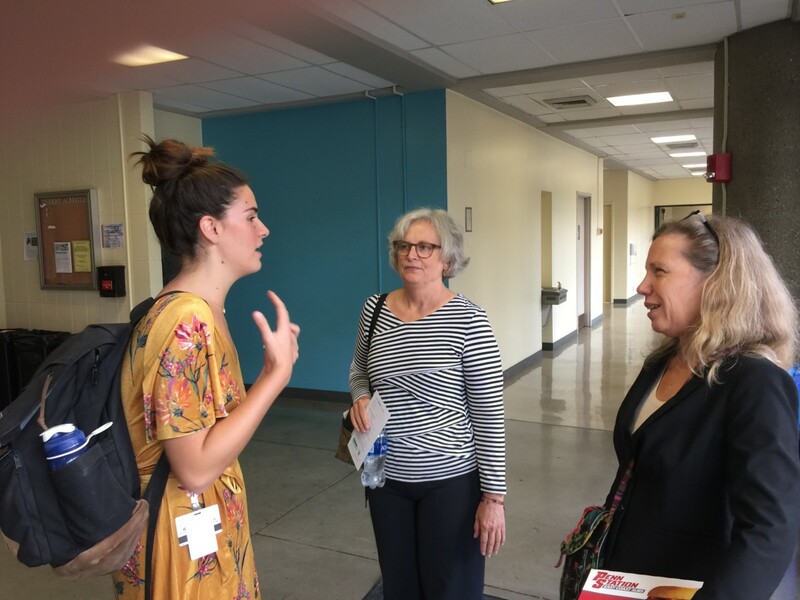 Carol Paris and Margaret Flowers speak with a medical student after the program. Christine Perlin speaking at the demonstration at Humana. Some of those who were there at the Humana Headquarters. 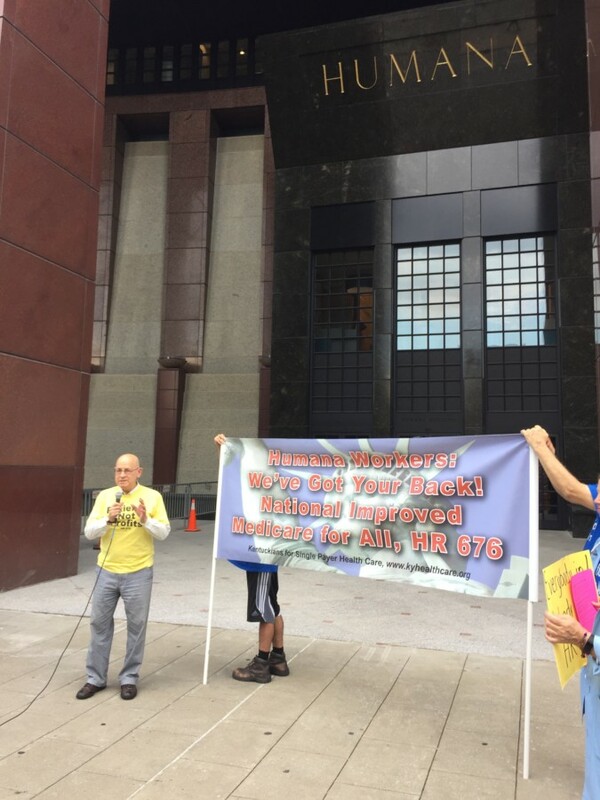 At the demonstration at Humana where flyers were distributed to the Humana workers. 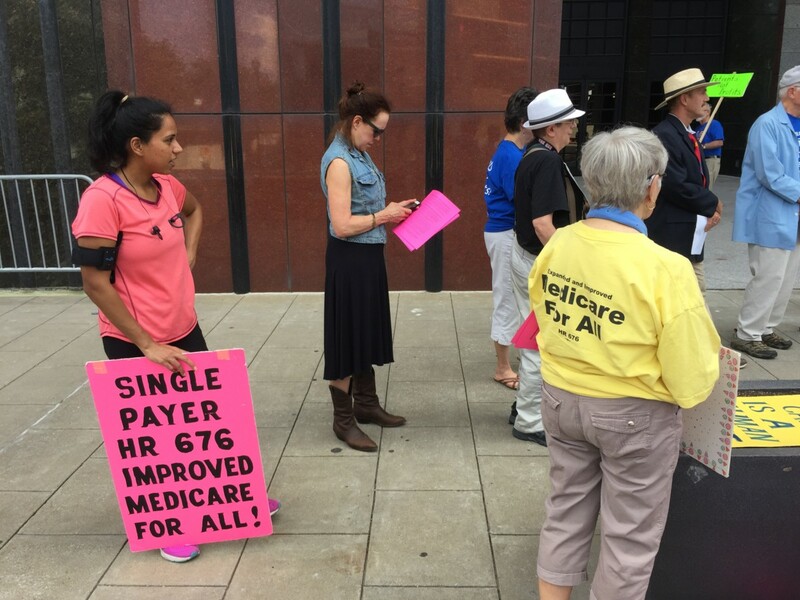 Standing up for Improved Medicare for All in front of the Humana Building in downtown Louisville. David Ross Stevens and Dr. Margaret Flowers. Dr Carol Paris, Dr. Garrett Adams, and Dr. Margaret Flowers at the Humana demonstration. 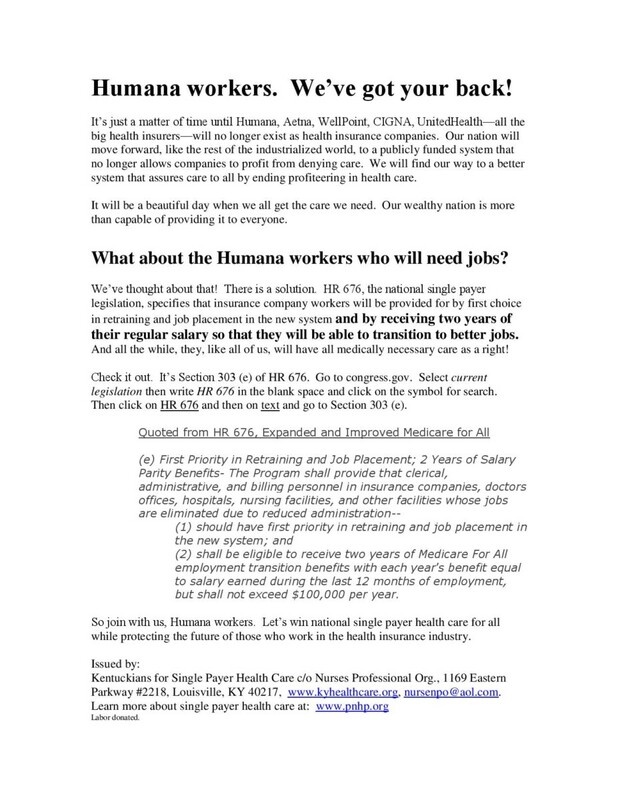 The flyer distributed to Humana workers. 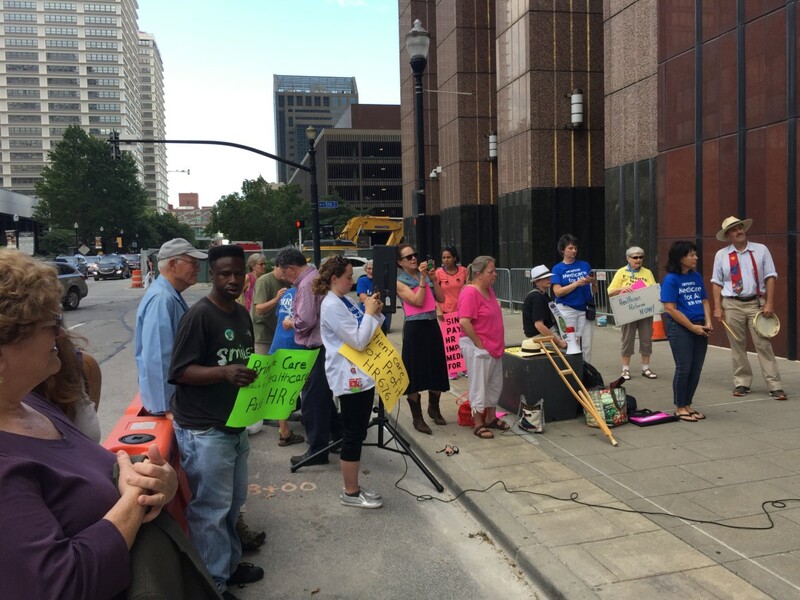 Friday afternoon activists gathered at the Humana Headquarters at 5th and Main to deliver a message to Humana workers. HR 676, Expanded and Improved Medicare for All, not only covers everyone with medical care but also provides for a future for any displaced workers. Workers will have first choice at jobs in the new system, opportunity for retraining, and two years of their salary up to $100,000 per year to transition into other work. 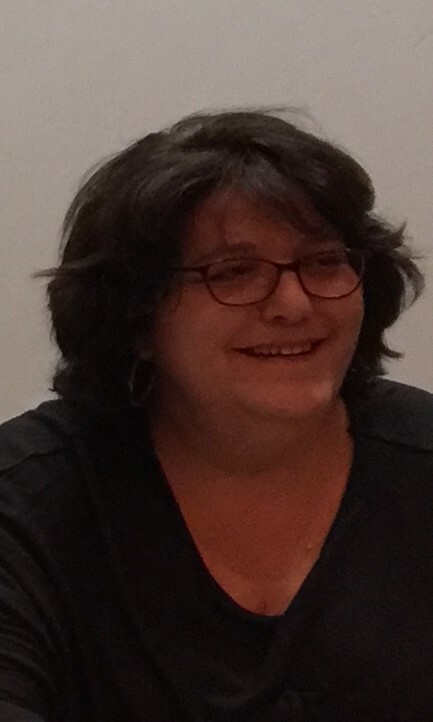 Christine Perlin chaired the demonstration which featured a dramatic presentation that she wrote and produced. Thomas Noland, Senior Vice President of Corporate Communications, came out to see what was happening and to get a copy of the leaflet. The demonstration can be seen on facebook here. Link to article by Margaret Flowers in FORsooth. 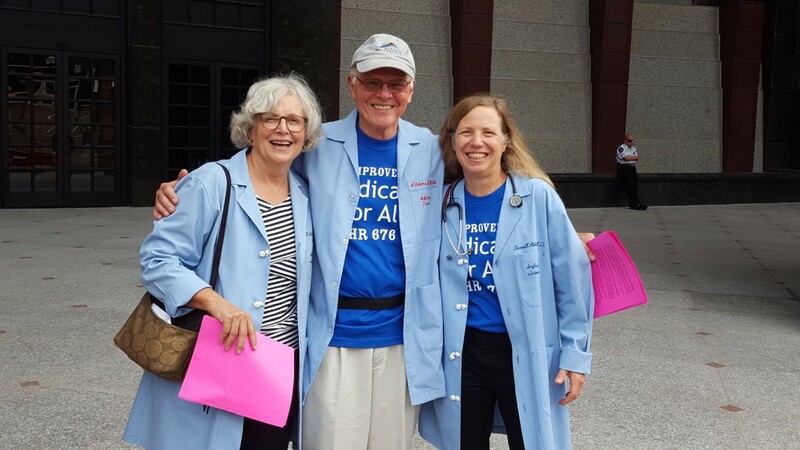 Join Dr. Carol Paris, President of Physicians for a National Health Program, and Dr. Margaret Flowers, nationally known single payer expert and advocate, in a demonstration for Improved Medicare for All, HR 676,and to let Humana workers know that HR 676 secures a future for them as well. Drs. Flowers and Paris will speak, and we will distribute information to the public and to Humana employees. 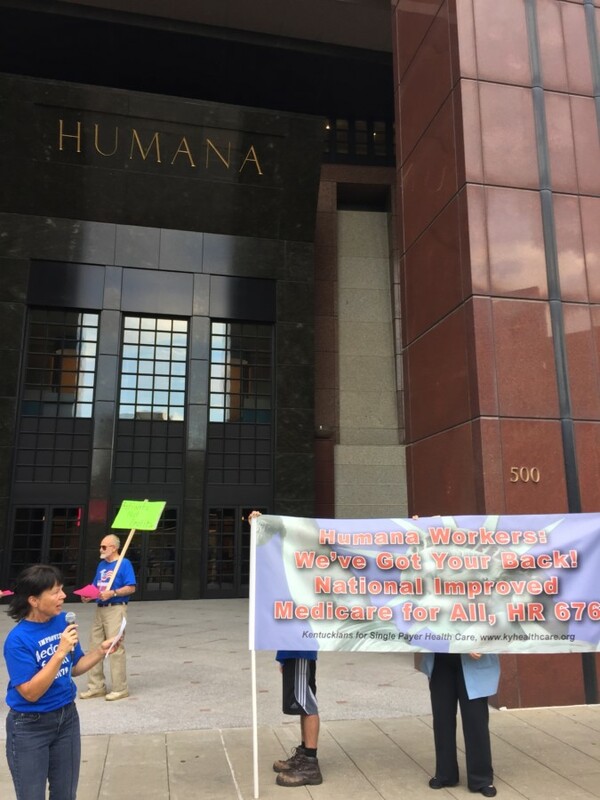 Humana workers: We’ve Got Your Back! Improved Medicare for All, HR 676! Seated L to R are the members of the discussion panel: Bill Mahan, Senator Reggie Thomas, and Dr. Edgar Lopez. 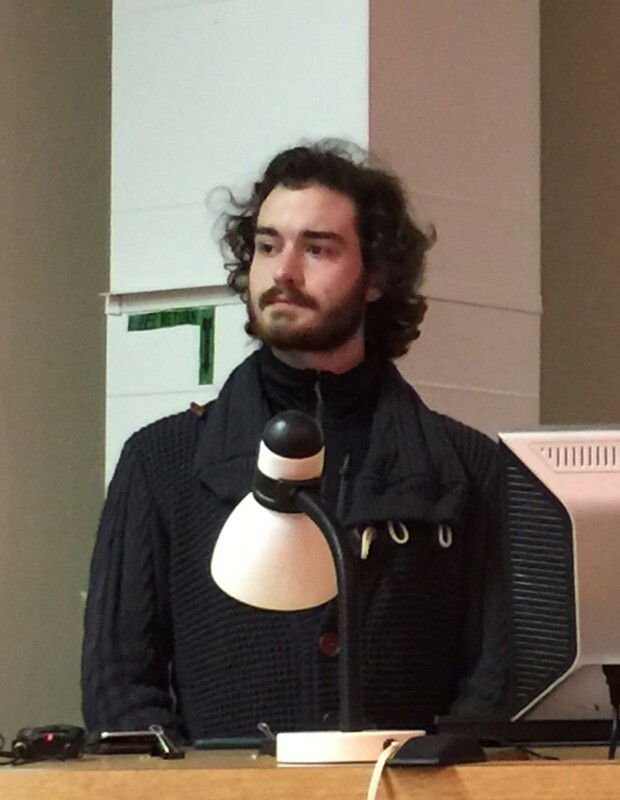 Max Perlin (not in the photo) was also on the panel. Christine Perlin who organized the event is seated at right. 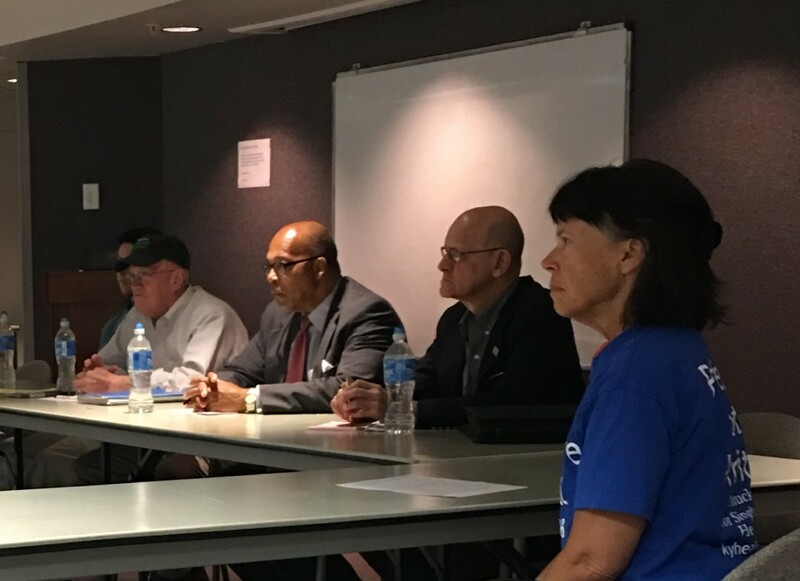 Health Care presented a showing of “Fix It–Health Care at the Tipping Point,” a film that features the human and financial costs of our current health care system and explains how HR 676, national single payer health care legislation, would resolve the crisis. KSPH will bring this program to your community anywhere in Kentucky. Just email us at nursenpo@aol.com. 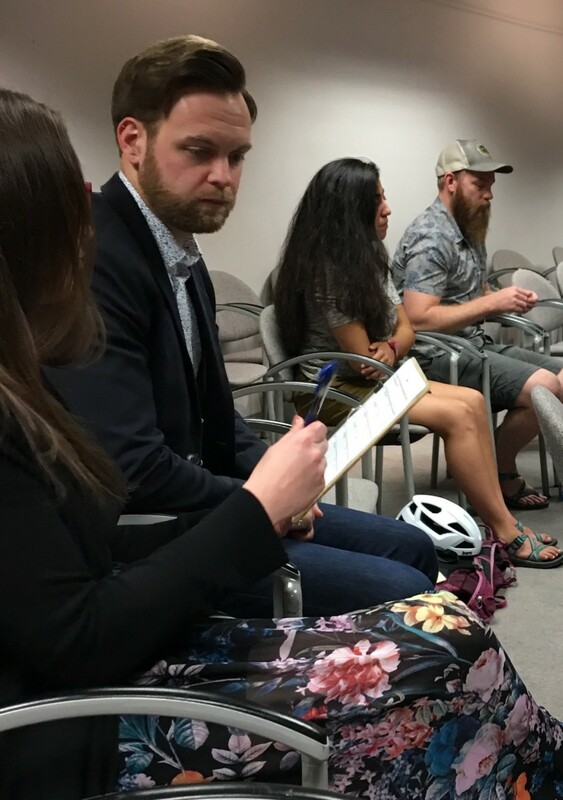 Those who attended were eager to participate in the discussion, to sign the petition for HR 676, and to project further activities in Lexington on this issue. 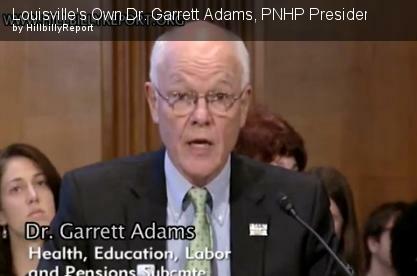 PNHP KY's Dr. Garrett Adams Testifies before the Senate.